You could say that San Francisco has the most character out of any city on the westcoast. Whether it's techies, artists, musicians, entrepreneurs, hippies or crazies, you'll find them all here in abundance. Being born in San Francisco and wondering what living there would be like, I decided to move to the city where I finished college and began my work life. I ended up living there for about 4 years. It's a small city, approximately 7 x 7 miles (11.3 x 11.3 km), so it's got a lot of condensed buildings on top of numerous steep hills that separate the bay from the Pacific Ocean. 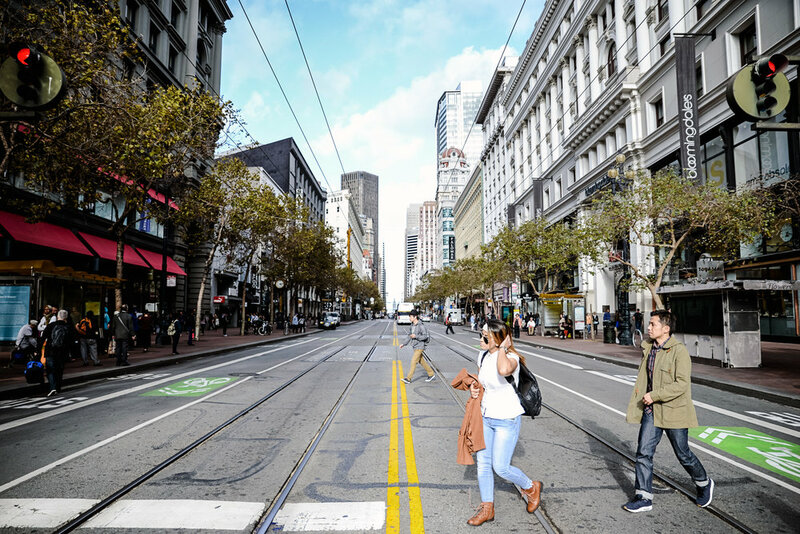 San Francisco is quite diverse, not only in types of people but ethnically as well. So much so that voting documents and a lot of signs have English, Spanish and Chinese written on them. It makes sense being that California borders Mexico and San Francisco served as a historic immigration gateway to the Pacific. You don't need a car to get around the city unless you're planning to head outside of it. In fact, it's one of my least favorite cities to drive in; the steep hills, all the "no left turns" and lack of street parking make it such a pain. Though they're fine, I'm not a big fan of the Muni buses or Metro light rail either (I'm probably spoiled), and their BART subway is mainly to get in and out of the city. Luckily, Uber and Lyft rides are abundant and really convenient for in-city transportation. I've been to just about every neighborhood in San Francisco and each has its own little feel to it. Do check out the main spots first. Golden Gate Bridge - no explanation needed as it's the icon of the city and one of the most recognizable landmarks in the country. 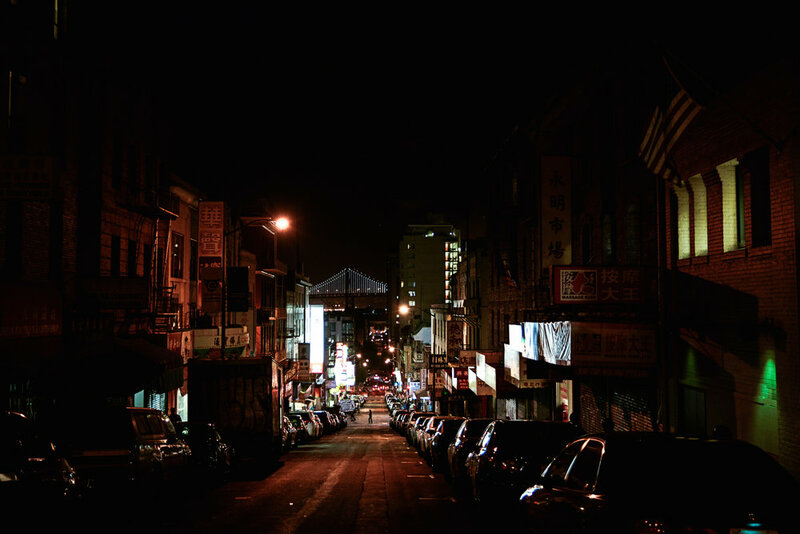 San Francisco's Chinatown happens to be the largest outside of Asia. It also neighbors Little Italy and the nightlife portion of Broadway street. Union Square is arguably the city's central area with department stores, the main shopping mall and more. From there, you can catch the Cable Car on Powell Street which passes the crooked Lombard Street as it makes its way to Fisherman's Wharf. 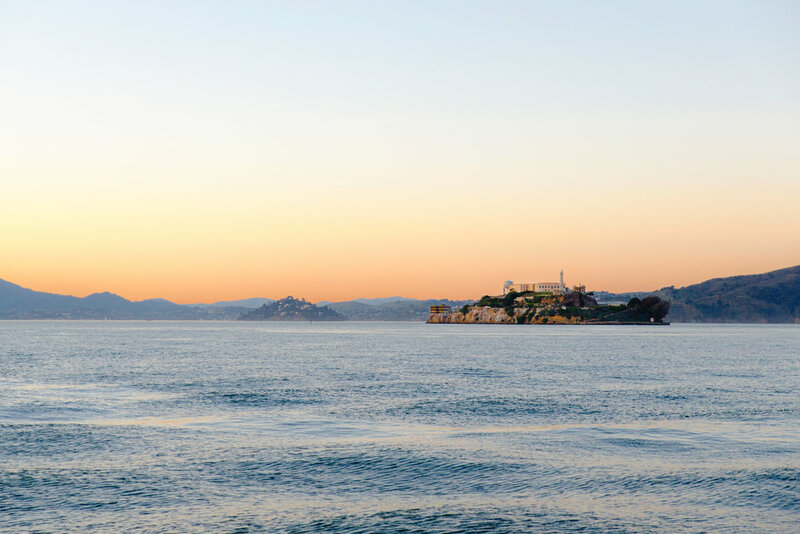 You can catch a ferry from there to Alcatraz, the famous prison located on the tiny island in the middle of the bay. Haight Street at Ashbury has been the center for hippies, and there's a lot of interesting shops and boutiques there. Nearby Golden Gate Park is huge, in fact it's bigger than Central Park in New York. There's museums and events there, and even buffalos. The Marina/Cow Hollow area is on the north side of San Francisco. It's somewhat of a quieter neighborhood with a lot of boutiques and small bars and eateries centralized around Chestnut street. I suggest the late afternoon as a good time to hang out there. After, you can walk over to the Palace of Fine Arts which is randomly tucked in there. This area on Hayes Street between Franklin and Laguna Streets is a quaint nook that sits near heavy car traffic areas. There's a bunch of fashion boutiques as well as small eateries, and there are often small events here during the daytime on weekends. See the Yoda Fountain (map) at Lucasfilm in the Presidio. Feed the wild parrots of Telegraph Hill. They fly down to the Embarcadero area in the late afternoon/early evening and are extremely tame. The best place I'm aware of and have fed them at is Ferry Park (map). Grab some bird feed and listen for them - they're loud! Twin Peaks. Arguably the best views of San Francisco. You can also go to Tank Hill (map), a nearby and more local viewpoint near Cole Valley. Speaking of views, my favorite spot to see the Golden Gate Bridge is from Battery Spencer, an old war bunker that looks down upon it. My photo at the top is taken from there. It's on the north side of the Bridge (map) and you have to walk a little bit to get the viewing spot, but it's 100% worth it. If you only go to the visitor's center, you're only seeing half of what you could and should. Another scenic spot is from Treasure Island (map). You can see both the Bay Bridge as well as the San Francisco city skyline in the distance. Definitely venture outside of the San Francisco if you have the time. My favorite things to do and that I'd recommend are wine tours in Napa Valley, lunch in Sausalito, and hiking in Muir Woods. And of course, don't forget to EAT!! Best Mexican food I've had, period. After late nights out, I'd trek to the Mission area with friends and pick up some huge burritos before heading home. Their quesadillas (pictured) are more than filling enough, full of ridiculous flavor and cheese that oozes out the back. For extra flavor, there's a self-serve salsa bar as well. El Farolito's is quite popular with a line usually heading out the door, so be prepared to wait for a little bit. Don't worry though, it's totally worth it. The only Chinese food that makes my mouth water. While there are a lot of good Chinese food joints, Brandy Ho's Hunan food in particular stands out above the rest. My favorite dish that I'd recommend is their shredded beef in white wine sauce (pictured), and I am sure to order it every time I get a chance to eat here. It was my last meal before moving out of San Francisco. It's hard to find crab made better than this. Their roasted garlic butter crab is juicy and packed with flavor... and messy, so wear their plastic bibs! It's a little out of the way for most people, in the residential area of outer Sunset, but the light rail will take you right to it as it passes on the street in front. If you're celebrating an occasion or just want some good crab to dig into, this is a great place to check out. As a local who grew up in Honolulu, these are the places on Oahu that I try to go to when I visit home. San Francisco is the most unique city on the west coast. As a former resident, here are some recommendations. A Disneyland for adults who want to eat, gamble, party and have a good time. New York City is the world's gathering place. Roaming around and taking in the city was quite fulfilling. The third largest city in America, it holds its own and has its own vibe that separates itself NYC and LA. The West LA area has some of the most iconic settings in Southern California, and is one of the best places in the state.